With you two making this official, it’s time we do the same thing with your photos! For most of my clients, their engagement photos are their first formal photos together. You may feel uncomfortable at the thought of not knowing how to pose or where to go for your photos. However, that’s the last thing you need to worry about. I’m here to help you navigate those details along the way and make this a special experience. 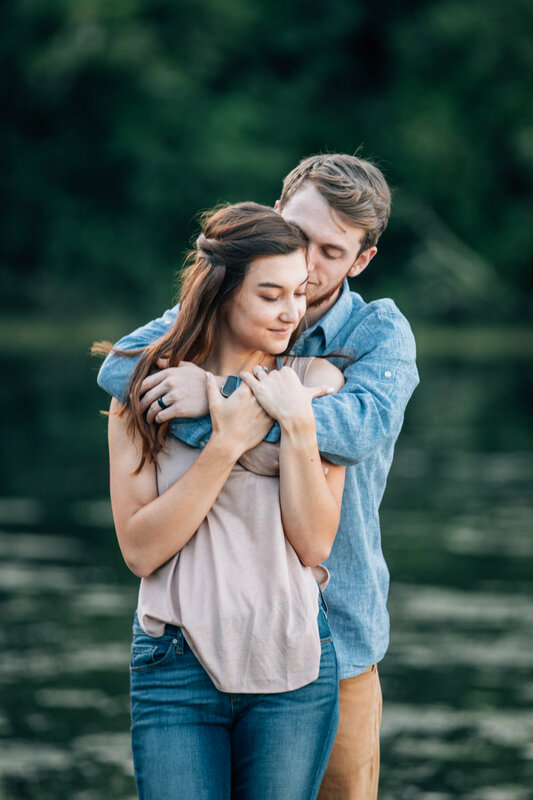 Because I believe engagement photos are as equally important as your wedding photos, I include free engagement sessions in all of my wedding packages. This gives you the opportunity to get comfortable behind a camera together as well as learn my tips and tricks for posing. Then when it comes to your wedding day, you two are professionals and we can make the best use of our time. I like to think of engagement photos as a trial run as you would with your hair and makeup. However, we get to have a lot more fun and create some timeless images capturing your love that you can use for your wedding. Wedding packages start at $1500 and elopements start at $600. 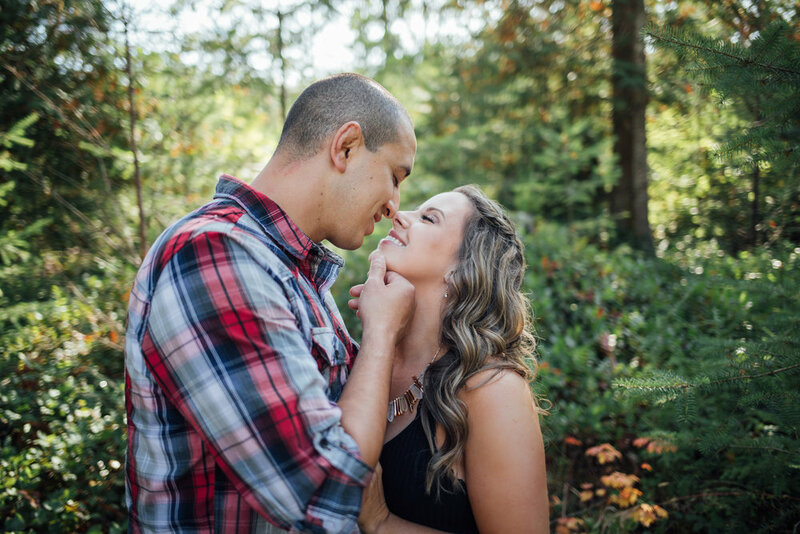 Interested in an engagement session outside of a wedding package? I offer these at my normal session rates which start at $150. Using one or more more of your photos for your save the date cards. Creating a guest book for your wedding guest to sign featuring your favorite engagement photos. Using your photos as part of your table centerpieces or table numbers during your reception. A photo wall of you guys to highlight your love at your wedding. Custom items for your day. Whether it be wedding favors or custom stamps for invitations, there are countless customizable wedding items that can feature engagement photos. “Jena is amazing! She does outstanding work, and she is so professional and reliable. 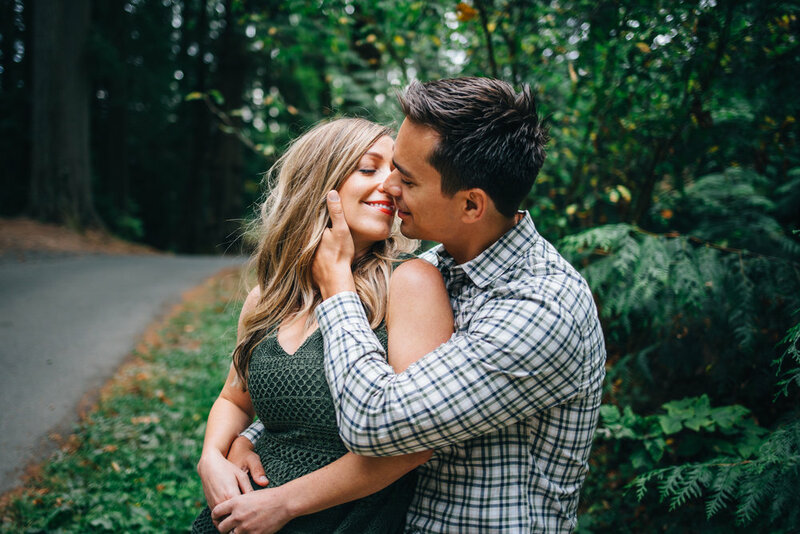 She made us feel so comfortable when she was taking our engagement and wedding pictures, and we got the most beautiful photos of our day!” -S.J.